Lori is a Sr Educational Technologist in IT, Educational Technology & Media Services at UNI. She has a BA in Elementary Education with emphases in Early Childhood Education and Math, an MA in Computer Applications in Education, and a second MA in Elementary and Secondary Administration. Lori taught for ten years at the elementary and early childhood levels in private education, followed by six years as a Computer Teacher/Building Technology Coordinator at the middle school level. She also served as District Technology Coordinator of a K-12 school district for 2 1/2 years. Lori joined the Educational Technology and Media Services team at UNI in February 2000. Along with her colleagues in IT-Educational Technology & Media Services, Lori provides instructional design and development support to faculty as they seek to use technology to support teaching, learning and research. Other responsibilities include developing and teaching technology professional development workshops for faculty and staff. Lori enjoys researching emerging technologies that may enhance instruction and student learning and collaborating with colleagues on special projects related to technology in an educational environment. She is certified as a Peer Reviewer for Quality Matters, a nationally recognized peer review process designed to certify the quality of online courses and online components. Lori has peer reviewed courses for several institutions, including a number of courses for Allen College in Waterloo, Iowa. Additionally, Lori served for a number of years as course designer for the National Program for Playground Safety, designing their original online professional development playground safety courses for child care providers and schools. Lori has served for over ten years on a project management team for grant-funded programs that focus on inquiry-based professional development to Iowa K12 teachers focusing on STEM related curriculum and technology integration. 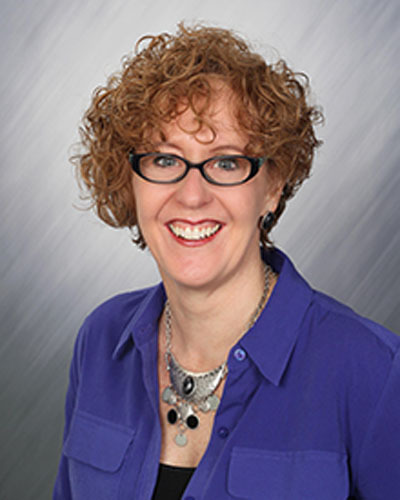 In addition to her work at UNI, Lori served for six years as an ISTE (International Society for Technology in Education) mentor for K12 educators throughout the United States through a grant program funded by Hewlett-Packard. Apart from her work at UNI, Lori is actively engaged in breast cancer advocacy. Co-representing the Cedar Valley's Beyond Pink TEAM on the National Breast Cancer Coalition Board of Directors in Washington, D.C., Lori regularly meets with Iowa's members of Congress to help influence funding and public policy for effective breast cancer research that focuses on prevention of metastasis and primary prevention of breast cancer in the first place. Lori also volunteers behind the scenes on the tech team at Orchard Hill Church in Cedar Falls. In her free time, Lori enjoys spending time with her family, pets, camping, ATVing, traveling, and caring for the lawn/garden on her acreage. Chatham-Carpenter, April; Seawel, Lori J.; & Raschig, John (2009-2010). Avoiding the pitfalls: Current practices and recommendations for eportfolios in higher education. Journal of Educational Technology Systems, 38(4), 437-456. Seawel, Lori; Smaldino, Sharon E.; Steele, Jeannie L.; & Lewis, Junko Y. (1994). A descriptive study comparing computer-based word processing and handwriting on attitudes and performance of third and fourth grade students involved in a program based on a process approach to writing. Journal of Computing in Childhood Education, 5(1), 43-59.